31 December 2015. A research team at Duke University is using facial analysis software routines developed for the U.S. Navy in building a smartphone app to screen for autism. The Duke team, led by engineering professor Guillermo Sapiro, adapted algorithms designed for the Office of Naval Research to analyze emotions displayed through facial expressions. Sapiro and colleagues devised the app, known as Autism and Beyond, as a tool for early screening of autism in children. Sapiro’s lab studies image and video processing, machine learning, medical and brain imaging, computational photography, deep-brain stimulation, and related issues. The Mathematical Data Science Program in Office of Naval Research sponsored research by Sapiro’s lab underlying the algorithms in the app. The study team employed Apple’s ResearchKit to create the app, written for iPhones. The app uses the phone’s selfie camera, held by parents, as children watch short videos and answer questionnaires designed to induce emotional reactions such as smiles, laughter, or surprise. 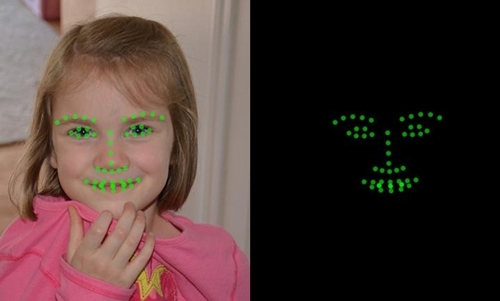 The camera records the child’s reactions, and the software looks for cues from movements of facial muscles, especially around the lips, eyes, and nose. The app is available free of charge from the iTunes App Store during the six-month data collection period. The research aims to determine if simple, readily-available tools like Autism and Beyond can be developed for uncovering potential emotional or developmental problems. The team notes that the app performs only initial screening, not a full diagnosis, a job for medical professionals. For Office of Naval Research, the software can help identify signs of combat-related psychological problems, such as post-traumatic stress disorder (PTSD), mild traumatic brain injury, and depression. Sapiro hopes to expand the technology from autism to these conditions, where better analysis of facial expressions can lead to earlier diagnosis and treatment for service members.